"Very convinient for shopping and food"
Have a question for One World Hotel? "The room is comfortable & well maintained." 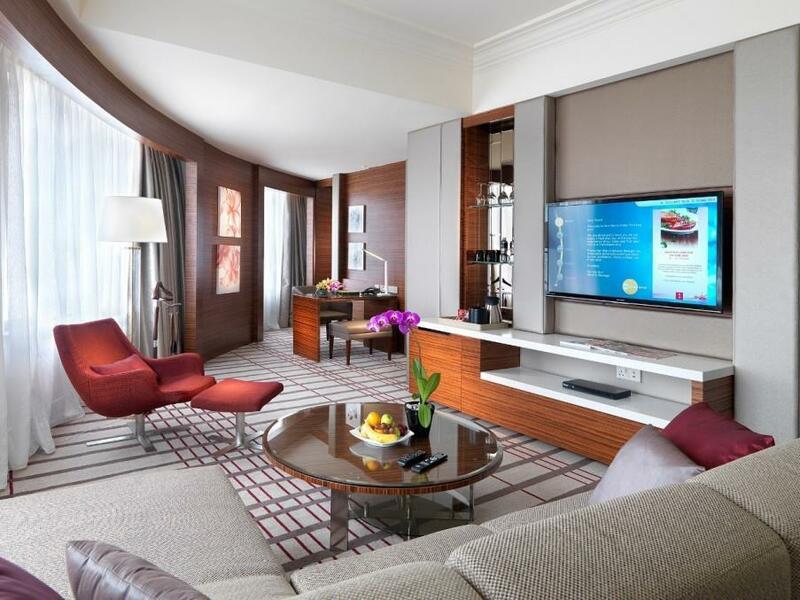 Experience absolute luxury and exceptional service at the One World Hotel. 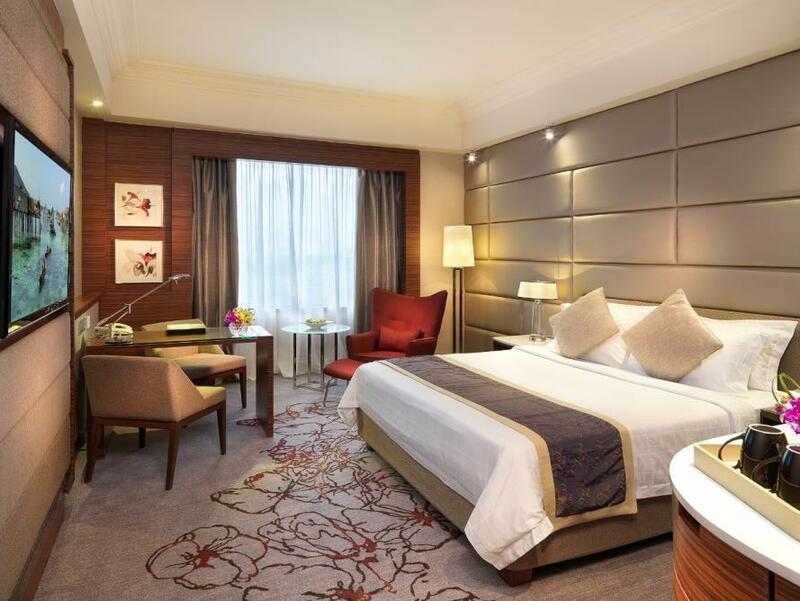 With a 5 star rating, this hotel is perfect for experiencing a truly lavish getaway. The rooms here overlook the city, giving you beautiful views of the city. 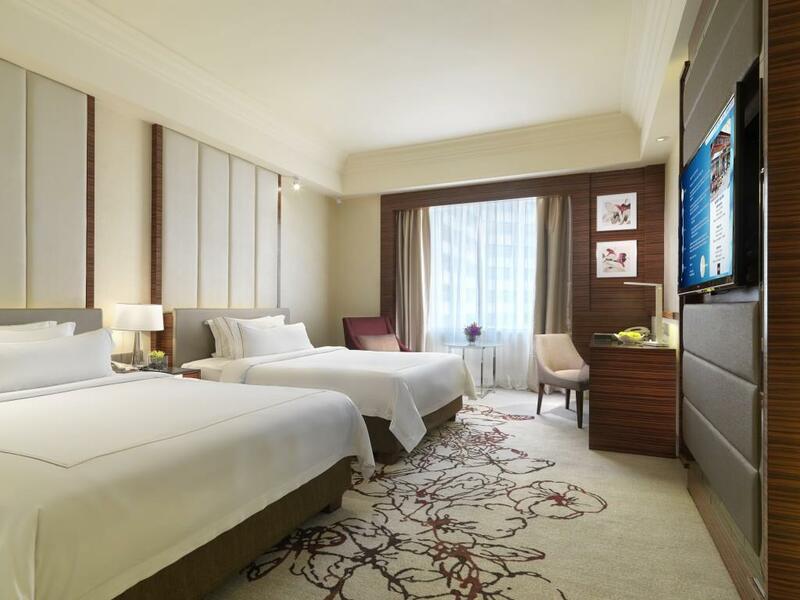 This hotel is near 1 Utama Shopping Centre, IKEA Mall, Ikano Power Center, KidZania Kuala Lumpur, and The Curve Mall. Offering guided tours, the One World Hotel is the perfect place to stay to learn about the area. With the incredible massages available, you can relax and indulge in some pampering. The One World Hotel has a kids club, giving your children a secure place to stay busy. 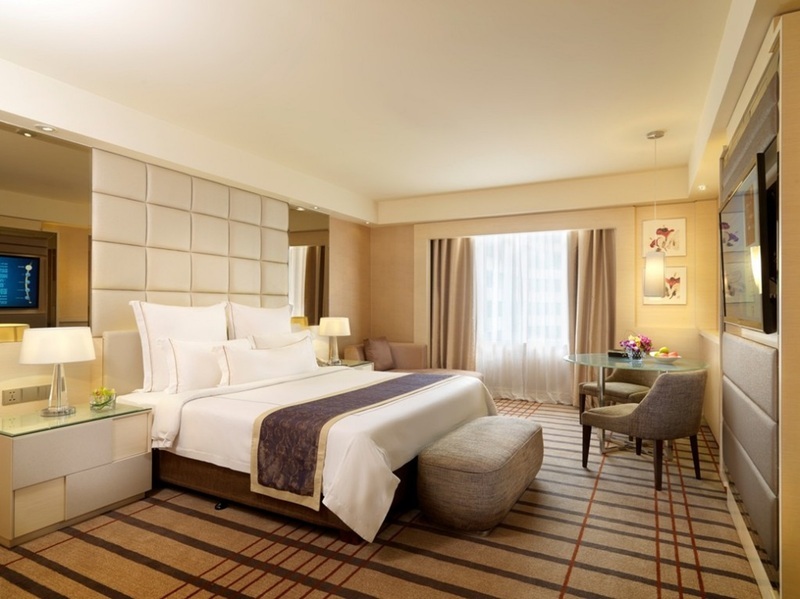 The hotel offers family rooms, so your family is provided ample space to sit together. It also offers a kids swimming pool, so you can be sure that the little ones will be kept entertained throughout your visit. From a bar to a coffee shop, it features a selection of dining and snacking choices for you to enjoy. It has a number of facilities for guests to enjoy, including a golf course, a nightclub, a tennis court, a fitness center, and a sauna. 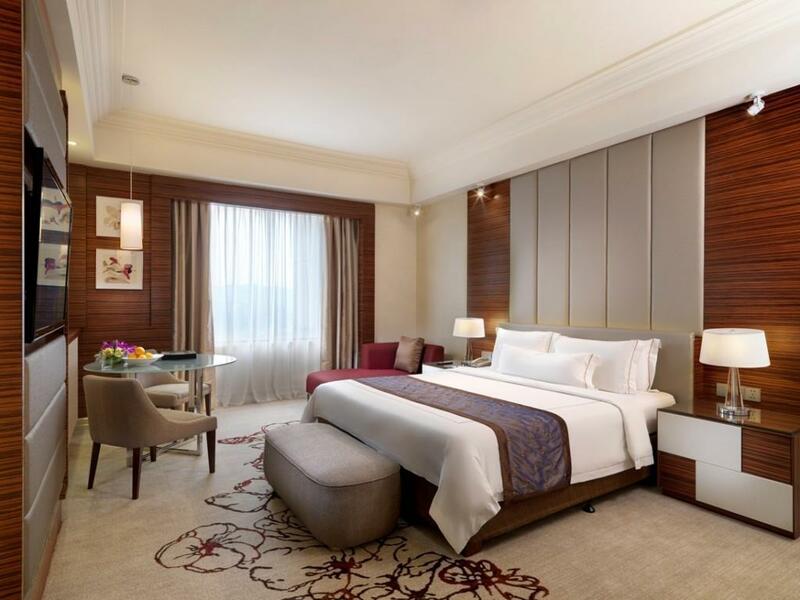 With safety deposit boxes, a salon, a convenience store, an infirmary, as well as shops, the One World Hotel has an assortment of convenient features to make your stay more comfortable. The One World Hotel has a doorman for a pleasant and friendly welcome. 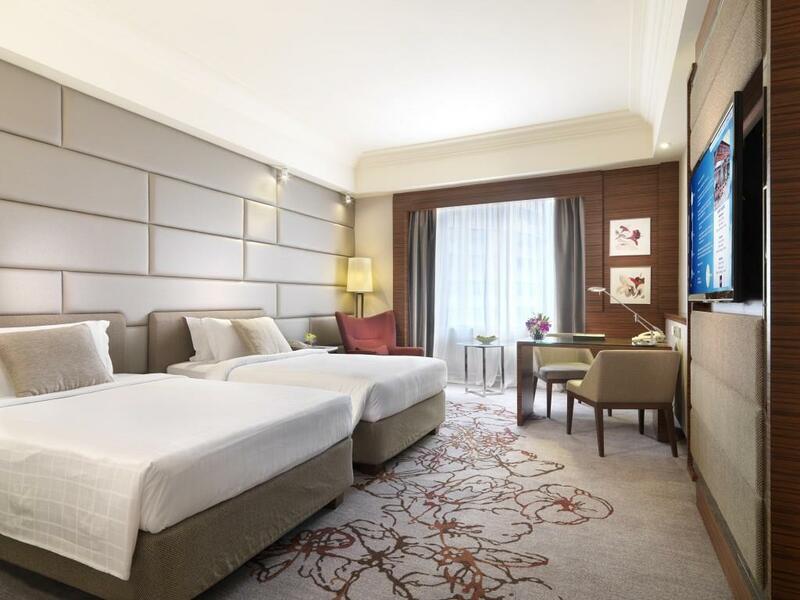 This Kuala Lumpur hotel has a number of convenient services for guests to make use of, which include dry cleaning services, a concierge, a babysitting service, daily housekeeping, as well as laundry services. There's free Wi-Fi in all rooms, as well as Wi-Fi in common areas, so guests won't have to worry about purchasing a local sim card. Enjoy a delicious breakfast for free when you wake up, and start the new day on the right foot. The front desk is open around the clock, so there is always someone around to answer any questions. 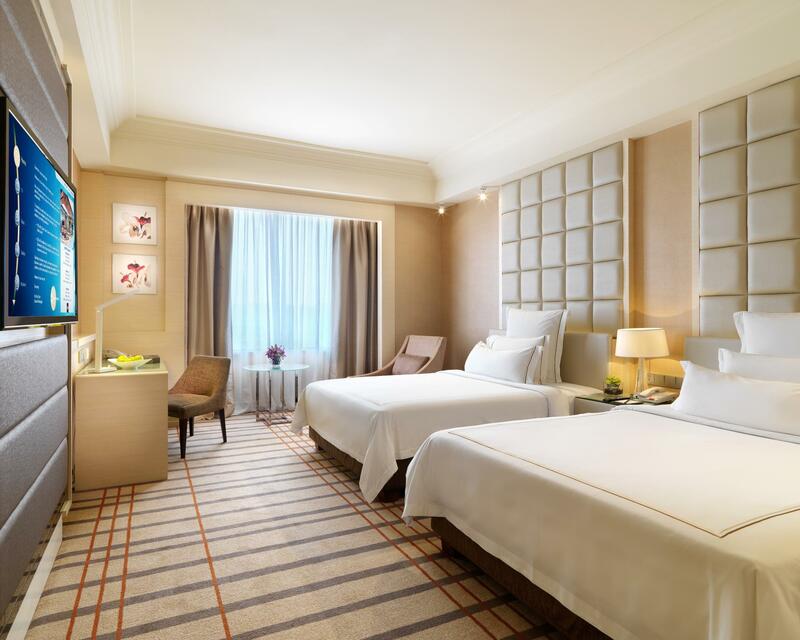 With pet-friendly facilities, the One World Hotel is suitable for visitors who can't bear to part with their pets. This hotel has a variety of transportation options which include airport transfers, car rentals, shuttle services, and taxi services. TTDI Train Station is 1.9 km away and Phileo Damansara MRT Station is 3.5 km away. "Awesome breakfast and of course its next to a huge mall." room are clean and quiet, despite we stay during the x mas weekend. breakfast surprisingly good, so far the best and most variety I found after stayed at so many hotel oversea. keep it up. price wise bit higher compare to others, no free parking so please take note. The staff are friendly. The buffet breakfast is good again. The room is spacious, clean and well maintained. A little minor problem I had was with the toilet flush in my room. After flushing, I had to manually push the handle back to its original position. Because if I don't, the flush valve will not close and the water tank will not be filled for next use. And that was how I found out that little problem with the toilet flush. We have been regular to this hotel for a couple of years. Still find it going strong in many aspects. You will like the junior suite. Breakfast was good. Location is good if you are into Mall shopping. Room was clean and very refreshingly trendy. Breakfast was the highlight for our stay. Excellent job by the kitchen team in creating the buffet breakfast menu. Kids enjoyed their breakfast moments with variety of freshly prepared food. Suggest to introduce lunch buffet in the future, overall price is affordable. Will return again for mid year shopping next door, so convenient. Awesome hotel with great breakfast spread, friendly and helpful staff and good amenities and facilities. The down side is that it should have more parking space for the hotel. During my stay, I had to struggle for a parking with the crowd coming to One Utama shopping mall. There is great connectivity to reach downtown KL (like bukit bintang area) via the train (via connected walkway just outside the hotel), also well connected to / from Genting via coach although at the other extreme end of the mall. Also convenient to take a coach to Singapore just at the basement of the hotel. Recommended if one wants to spend most of the time in KL Petaling Jaya area. Good hotel staff customer service delivered. The cookies placed in the room were a welcoming treat for tired travellers. Location is great, next to the biggest mall in KL with ample choices for food and great shopping. The check in and out were fast, hassle free. Breakfast spread is good with a juice bar. The room service food is excellent. Ordered the fried rice which was very tasty! The kids love it. Will I return? Yes, and always choose this hotel when in KL. We give TOP marks to their staff esp the crew at the breakfast coffee house. The concierge is helpful and polite. If only the staff at the front desk counter is more amicable and less crabby would have make this trip memorable and wonderful . Full stars for the services and zero rating for the front desk. 3 nights stayover, generally all OK, Check in efficient, paid for junior suite and had asked to be near elevator as mobility challenged - that said gave me a room almost at the end of the corridor. I did borrow a wheelchair thank you - but would have thought there were rooms nearer the elevator. Breakfasts OK, but choice for Westerners somewhat limited. Only 'complaint' Breakfast staff always had to be asked for coffee or juice refills, no one came and asked......As other reviewers excellent for nearby shopping centre. we were upgraded as there was construction going on int he hotel that was affeccting our peace and quiet. Staff were efficient and immediately upgraded us and followed up. much appreciated as my mother is 85 years old and needed to rest. Hotel breakfast rocked. we enjoyed ourselves esp as family from near and far were together. pool was nice and gym good. only downside was rather suprised to see staff in uniform chatting loudly to guests in gym as they exercises. i wasnt comfortable working out as they were looking around as well. Otherwise good hotel. Everything was wonderful. Nice and clean room. Great location. Linked to 1 Utama so it was quite convenient. Although, I would suggest a few things that could have made it better: - Toilet was bit dark. Not sure if it was due to a faulty lighting or if that was just the way it is. - Too many foot traffic coming in to the hotel from 1 Utama. People were using the hotel Lobby to get to 1 Utama from the MRT Station. It lost the exclusivity of the Lobby being only for hotel guests as there were people easily walking in and out of the lobby and some were just sitting at the lobby to rest. Room was cozy and clean. Love the large breakfast selection. Lobby connected to a large mall, loads of choices to choose from for shopping or eating. No need to leave the hotel area basicaly and avoid the traffic elsewhere. Free shuttle to IKEA & other places of intress (save money one transportation). I stay here for many times due to the location is very good and convenient but this stay is slightly dirty on the window part and need some improvement on the staff. Less friendly and the last stay was on September my birthday, not as good as the previous year bday. It was so surprise with the complimentary cake and singing. Last year have nothing happen even i stay there for 2 nights on my birthday. Connected to OneUtama Shopping Centre with lots of shops & restaurants. The room is comfortable & well maintained. The buffet breakfast has a variety of local & international cuisines. I’ll definitely come back again. One World Hotel is linked to the massive 1 Utama Shopping Mall..my wife and daughter had a fabulous time shopping with all the outlets that typically you would expect at Mid Valley Megamall available here too! The rooms were spacious and the bathrooms well equipped with high quality utilities. If at all our only complaint was a noisy air-conditioning unit and the crowded breakfast buffet at the Cinnamon. However, we would definitely stay here again for the convenience of shopping! Do note that: 1) The third floor is a smoking floor, make sure your room is not on the third floor if you’re asking for a non-smoking room. 2) Hot tub is reserved for spa users (you have to go for a spa treatment in order to use the hot tub) 3) The gym, although don’t have many equipments, is clean and pretty new, so do give it a try. Great location which linked with shopping mall. By the day check in, we were arriving at 1pm and being told that room were not ready to check in. After few hours back to hotel still being asked to wait for the room, which this troubled us (2 old folks & 6kids) as we need to attend wedding dinner 2hours later. Fortunately frontdesk staff have been arrange and settled for us, thousand thanks and hopefully will not be treating that way next stay.